Learn innovative negotiation tools from two of the world’s leading negotiation experts - Professor Leonard Riskin of Northwestern Pritzker School of Law and Professor Daniel Shapiro of the Harvard Negotiation Project along with attorney and improv specialist Katie Marie Zouhary. Learn essential skills to boost your negotiation success. Whether to manage a client, close an important deal, or resolve a heated dispute. These tools range from the basics of interest-based negotiation to advanced tools to better manage the complex emotions that make negotiating so difficult. Gain insight into cutting edge methods. Many training programs present basic negotiation tools. But even people who have mastered these tools sometimes fail to use them in difficult situations. This course reveals the reasons why and how you can overcome them. In short, you will learn methods to better manage not just others, but yourself. You will learn skills to improve your ability to attend to important information; to keep your anxiety in check; and to face conflicting goals with clarity. You will have opportunity to practice applying negotiation theory through a variety of exercises. You also will learn tools to better manage yourself and others in a negotiation through such methods as mindful awareness and a system for working through internal conflict. You will discover how to integrate these skills and methods into your everyday negotiation practice. World-Renowned Instructors. This program’s instructors have made important contributions to the field of negotiation and regularly field-test their methods with a variety of groups, ranging from global leadership to business and governmental executives. 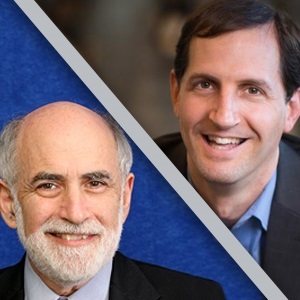 Taught by leading experts in the theory and practice of negotiation, Professors Leonard Riskin of the law schools at the University of Florida and Northwestern University and Daniel L. Shapiro of the Harvard Negotiation Project, this certificate program incorporates the most advanced thinking on the topic of negotiation. Find out more about professors Riskin and Shapiro and what makes their teaching methods unique. Featuring Katie Marie Zouhary. Drawing on her background as an improviser, attorney and business professional, Zouhary brings a highly interactive approach to expand the negotiator's toolkit. Find out more about about Katie Marie. No matter your profession, you undoubtedly negotiate all the time. This program can take your negotiations to the next level of success. Upon completion, participants will receive a Certificate of Completion from Northwestern University. Enrollment may also be used to satisfy 16.25 hours of the State of Illinois' CLE requirement and also fulfills two hours of the Professional Responsibility requirement. Through a combination of theory and strategies used by experienced negotiators, you will discover new ways to manage key issues, defuse crises and negotiate disputes. You will gain insight to improve communication and successfully manage your negotiation. This exclusive seminar integrates traditional negotiation skills with groundbreaking techniques largely absent from other negotiation programs. Find out more about these professional development programs. Explore all the Negotiation for Professionals Program Courses for detail on the program's offerings. The tentative schedule for the Negotiation program is as follows. Specific times and activities are subject to change. Tuition for the Negotiation for Professionals certificate program is $2,400. Complete details can be found on the Tuition and Financial Aid for the Negotiation for Professionals Program page. Instructors for this program have a range of expertise, specializations and work experience. Read about their qualifications on our Negotiation for Professionals Program Faculty page. The SPS enrollment advisers at Northwestern University School of Professional Studies can be a resource to you for inquiries regarding our certificate programs. This exclusive, three-day seminar integrates traditional negotiation skills with groundbreaking techniques largely absent from other negotiation programs.